Christopher Walkey is a social media speaker, columnist in UK national trade magazines and founder of Glass of Bubbly. His talk at the International Wine Tourism Conference is Digital & Social Media in the Sparkling Wine Industry. The presentation examines how to use social media to improve brand awareness. As one of the speakers at the upcoming IWINETC in Reims, France we had a chance to speak to Christopher about his experiences and presentation. What provided the inspiration for Glass of Bubbly? 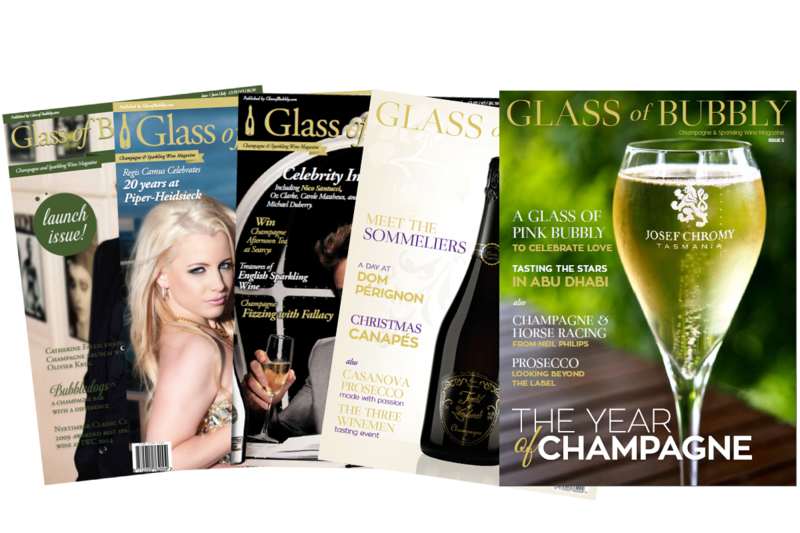 We attended the CIVC annual Champagne tasting event in 2013 and from there I gained the inspiration to launch and build Glass of Bubbly and our bi-monthly magazine. I could see the need for an industry magazine dedicated to sparkling wines as there was so much to learn about this sector and there was no proper platform for news and information to be shared. What do you see as the future for wine experience providers in Champagne? If they are able to embrace social media further and also the usage of videos to entice and engage target consumers online, then speaking as someone who has toured the Champagne region, I am sure many people will tempted to take up tours within the region, especially from the UK as the location isn’t very far away. What are the top two social media platforms for wine experience providers and why? The experience needs to be communicated by images and videos and all social media platforms allow sharing of this kind of content. If I had to pick two platforms which would engage users the most, then I would suggest Youtube and Facebook. Please describe the ultimate use of social media for wine experience providers. Social media and results that can be achieved is really down to the user and what their expectations are. If I could offer advice, then I would say social media is to share the experience of actually being there by images and videos and also experiences shared by others. When people browse social media, they are looking for all sorts of information, from the latest news, football updates, what their friends are doing and even where to go on holiday. So with this in mind, make sure you share frequently content that would attract people to a wine region. Images are powerful in all forms of marketing and the statement that ‘a photo can paint a thousand words’ is still true to this day so make your voice count on social media by tempting people to fall in love with your wine region. I would say that it is just as important to know where the wines come from as it is to taste and enjoy them. Having visited a few wine regions, you really get to understand each wine region better, and I would in fact add that when you taste a wine from a region you have visited, it tastes better for it holds more history. My main aim is to network with others from varied wine regions to know more about their areas and the pleasures and experiences they hold. I can honestly say that the Champagnes we drink during working on our business concept, Glass of Bubbly, always taste better from the villages and domaines that we have actually visited and enjoyed. The people behind the wine and the regions they come from we highlight strongly in our magazine.